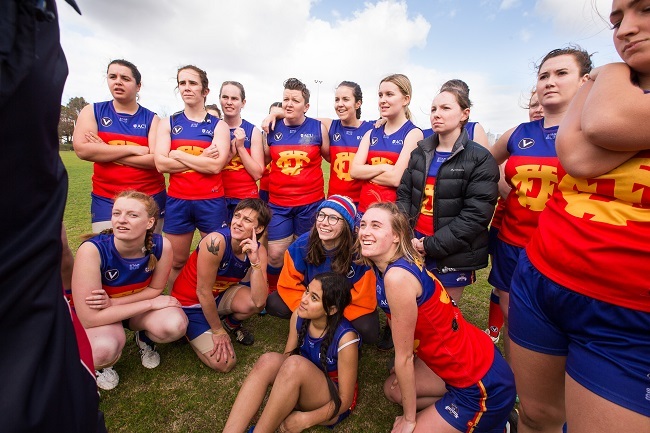 Freshened up from the timely final round bye, the Fitzroy-ACU Reserves Women will head into their first ever finals series brimming with confidence. 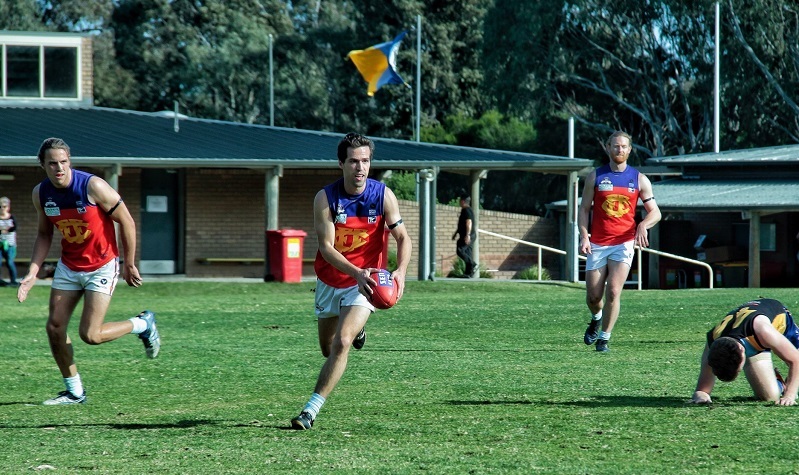 The final round results meant Saturday’s opponent Caulfield Grammarians finished just 2.98 per cent ahead and as the third-placed side choose the venue. 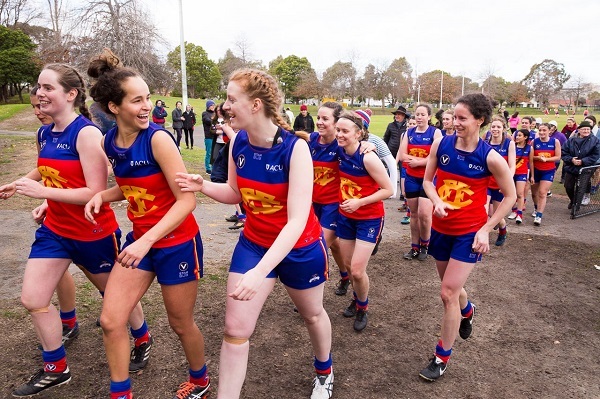 Semi Final 1 of the Premier Women’s Reserves competition will be played at Glenhuntly Oval at 11.20am on Saturday. With the senior and reserves men’s teams having the bye this weekend, there should be a big Fitzroy contingent along to check out the action. The Fields are a tough team to match at their large, sloping ground but the Roy Girls have done it before. In their first meeting at Ramsden Street back in April, Caufield was a comfortable winner. 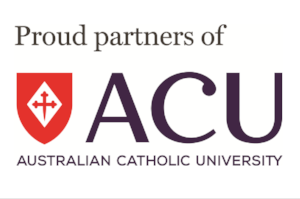 By the time the teams met again in June, Fitzroy-ACU won by over four goals…. at Glenhuntly Oval. This is a team which has improved enormously over the course of this first season with coach Simon Jackson and there is nothing to fear in this final. 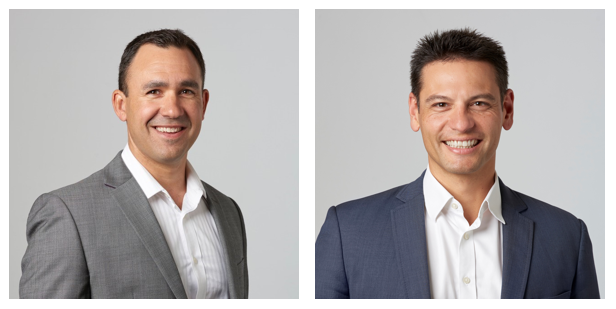 “In many ways it’s business as usual and they should continue to play the way they’ve been playing,” Simon said. “But it is a final, so we know the tempo lifts and the game goes up a notch because there is more at stake. We really need to be switched on right from the start. “The team has been training with good energy which we can take into the game. 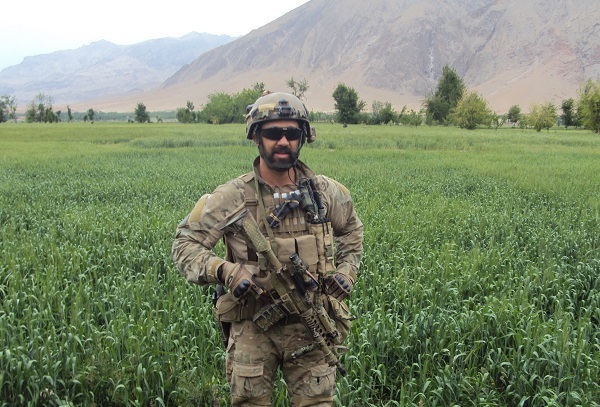 “We’ve talked about the fact that not everyone gets these opportunities – finals don’t happen often – so we need to be ready and make the most of the opportunity,” Simon said. It’s all or nothing. Go Roy Girls. 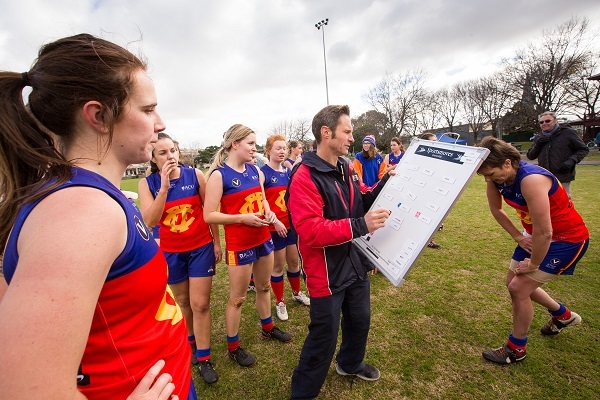 After the final Premier’s women’s home and away game on Saturday, Mick Symons told the Fitzroy-ACU Senior Women’s team he was stepping down as their coach after two years at the helm. Captain Gemma Minuz told the RedRoy Mail what Mick has meant to the playing group. “Mick joined the Roy Girls very late in the preseason of 2017, and almost immediately won us over with a combination of footy smarts and dad jokes. From the start it was plain to see that he was a fair and understanding man who loved his footy and doesn't do things by halves. He jumped wholeheartedly into his role as senior coach and has dedicated an enormous amount of time to the squad and our development as individual footballers and as a team. Over his two years as coach he has gone over and above, ensuring that every senior player who has played on the weekend receives written feedback after each game detailing something that we have done well, and something that we should continue to work on. “He has kept training nights interesting, bringing new 'trademarked' drills to training each week and guiding us through them with enthusiasm. But both his passion and respect for his players are best displayed on game day where his animation on the bench is always carefully managed at quarter time breaks and translated into a calm and polite message to his players. This respect is reflected back in our eagerness to listen (some better than others), learn and strive to implement what he has told us. “One of the reasons that Mick quickly earned the respect and admiration of his charges is due to the fact that he never takes himself too seriously, jumping on board with themed training nights and regularly joining in on pre-game sing-a-longs, belting out every word of a very eclectic soundtrack including tracks such as Mr Brightside and My Heart Will Go On. 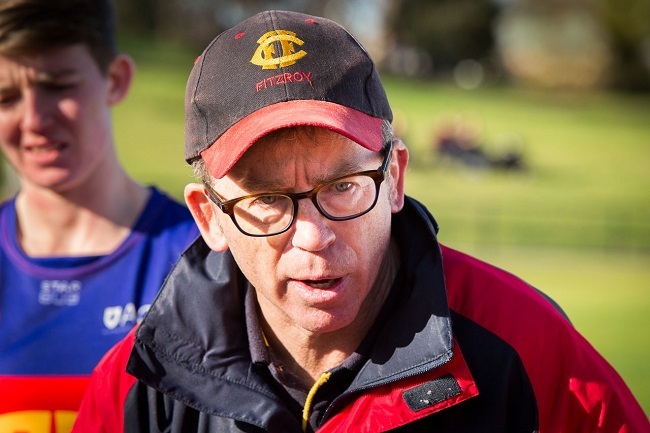 He will go down in Fitzroy folklore for his flawless rendition of Natalie Imbruglia’s Torn, upon the shoulders of his team after his final game as coach of the Roy Girls on Saturday at Trinity. President Joan Eddy echoed Gemma’s thoughts and said the club would greatly miss Mick. “Mick stepped into the coaching role for our Senior Women late in the piece in 2017, with only a few weeks to go before the start of our season. It wasn’t long before his great communication skills, love of the game and wonderfully daggy sense of humour had all the players on board. The team didn’t finish the season the way they would have liked against Old Trinity on Saturday. Fitzroy-ACU would have gone into this game the more fancied team given ladder position, but Old Trinity put up a very strong performance and had more avenues to goal. 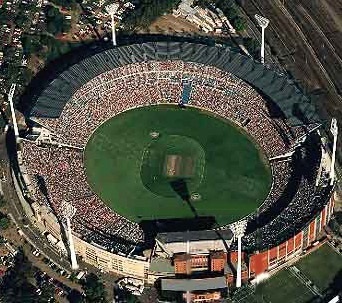 They won 8.8.56 to 3.1.19. Thirds Fan Day at Ramsden Street was something to behold. 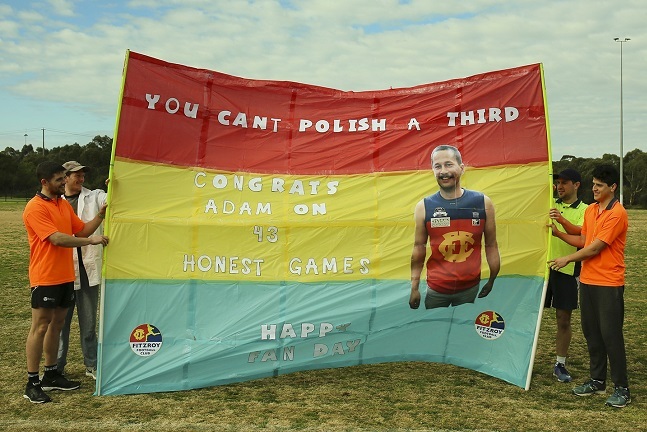 From the banner honouring Adam Taib for his 43 games featuring the line ‘You can’t polish a Third’ to the individual playing cards and badges of each player, there was plenty of colour and movement capturing the essence of Fitzroy Thirds footy. One gets the impression that they’d like the fans to appreciate it, but if they don’t’ it doesn’t really matter… the most fun is to be had in the creation of such an occasion. As the club song blared out, with the waft of souvlaki in the air, and the aforementioned banner was shredded, the risk was the team might lose sight of main objective of the day…. win the footy. But after a slightly patchy start, it was pretty clear that once they crossed the boundary, it was all business. The victory was an impressive one. The first half was close and tight, with Williamstown getting on the scoreboard early and Fitzroy having to play catch up. By half time Fitzroy had just put a small gap on the visitors and led by 9 points. 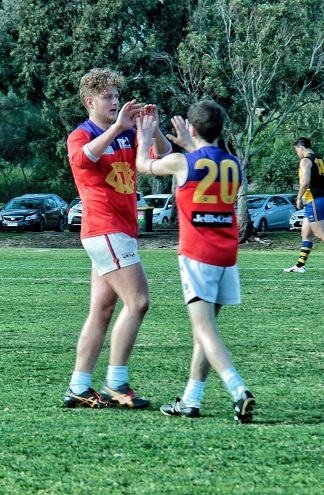 Fitzroy edged further in front by three quarter time and then showed superior pace and fitness in a seven goal to nil final quarter. The final result made the game look a lot easier than it was; 19.13.127 to 9.8.62. The goals were shared around with Harald Jorgensen and Tim de Natris kicking four each and Simon Heather chiming in with three. Will Symons, recently back from overseas, showed his drive and class out of the middle and hit the scoreboard a number of times. The four from the captain means he’s now just one behind the leading goal kicker. The imposing number 7, Nathan Grimshaw, seemed to mark everything in his vicinity and was named in the best players, along with Hugh Morris-Dalton, Bryce McAdam and Rhys Dolby. Off field the organisation and effort was just as good. A huge thanks must go to everyone who helped create a great fan day with a particular mention to Jenny de Natris and Eric Grimshaw, who made everyone happy with their superb canteen work, particularly with the souvlaki preparation. Amazingly, while Fitzroy was putting the sword to Williamstown’s finals chances in the final quarter at Ramsden Street, De La Salle lost its first game of the season to Beaumaris, which means Beaumaris is now in the second spot with a likely double chance. With just one game to play in the home and away season, the Thirds travel to Monash University to take on the Blues on Saturday morning. 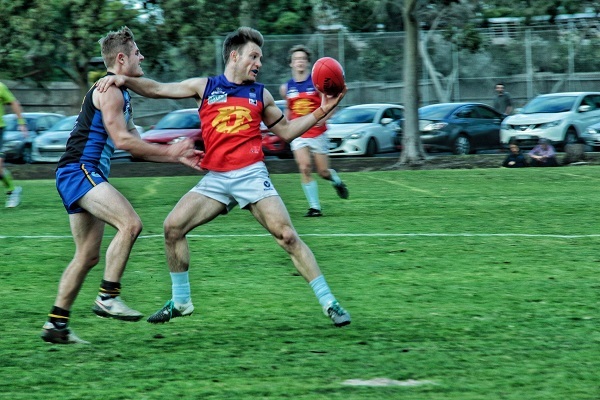 The second, third and fourth sides are all on 40 points and the most likely outcome is that Fitzroy will stay where they are in third spot (with a gap of nearly 7 percent) on the ladder and host a home elimination final next weekend. Then again, a mighty big win would give them a crack at the double chance. It’s been an impressive and exciting season for the Thirds so far under the stewardship Trent Coleman; let’s see what the final round holds. 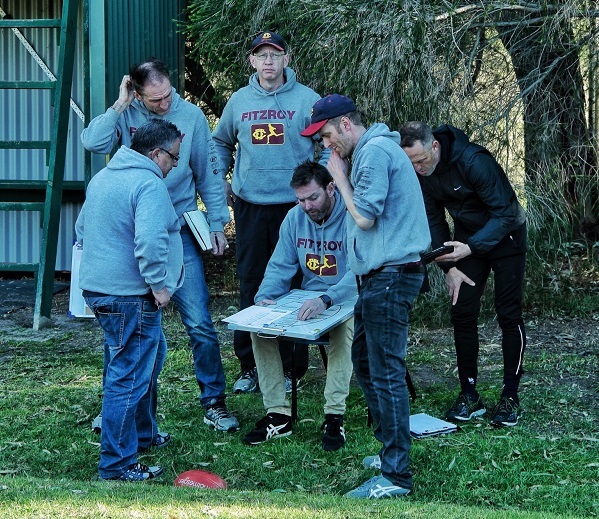 We probably went a bit early… but now we can say it for sure: the Fitzroy Senior side cannot be knocked out of the top two in the race for the minor premiership after a win over Old Mentonians on Saturday. 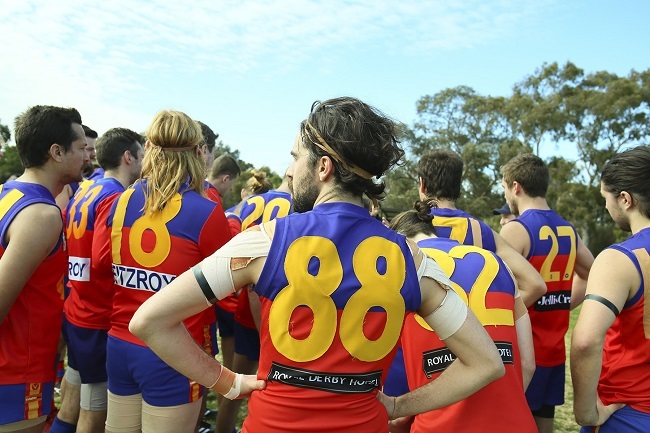 Fitzroy overcame a sluggish start and built throughout the game but without the same flair and run that featured the previous week. There were some anxious moments when the home side got to within 14 points in the third quarter, but two clutch goals from Rory Angiolella and some encouragement for his team mates to lift their voices and their intensity, switched the momentum. The Panthers were unable to capitalise on their forays forward and Fitzroy’s seven goals to nil in the final quarter made sure of the result 21.12.138 to 9.12.66. Andrew Pettigrove played his best game for the club, combining well with the midfield when he was in ruck and going back and taking some strong marks to keep Old Mentone at bay. With strong four-quarter efforts, Ted Clayton was just everywhere, and Mitch McWhinney also had a strong game in the lead up to his 100th. The win was largely achieved without full forward Nathan Jumeau, who pulled up with a hamstring injury in the second quarter. The club will be hoping its leading goal kicker can get his troublesome legs right before finals. There were two very handy ins up forward and they made their impact on the scoreboard. While it may not have been the most convincing of outings for Nino Lazzaro in the air, he made his presence felt with some strong chasing and tackles and you’d take three goals each any day of the week. Sam Baker featured strongly both with his wily clearance work and three goals of his own. Swung forward after the injury to Jumeau, fullback Max Ellis also kicked a couple of goals. 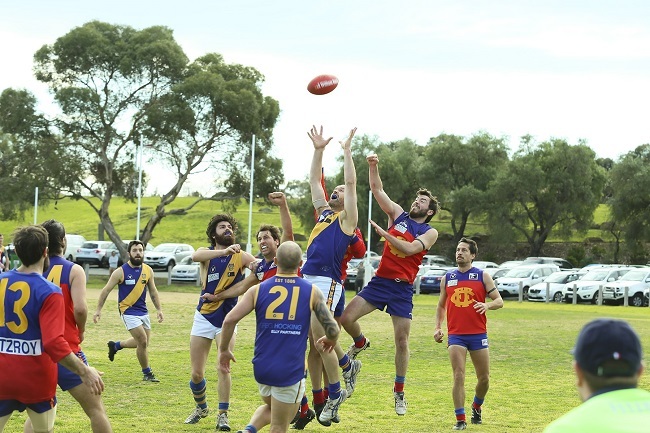 This weekend’s bye leads into three very important weeks in the lead up to finals, with two home games against Old Ivanhoe and PEGS, who are still in the finals mix, and the big trip to Williamstown on 18 August to take on the competition leaders. The coaching team will be sweating on the progress of a number of injuries to senior players and hoping there are enough weeks left to get some game time into players like captain Julian Turner, Jumeau, Toby Hudson Bevege and Tom Biscaro. And Phyllis was also in fine form with the camera. 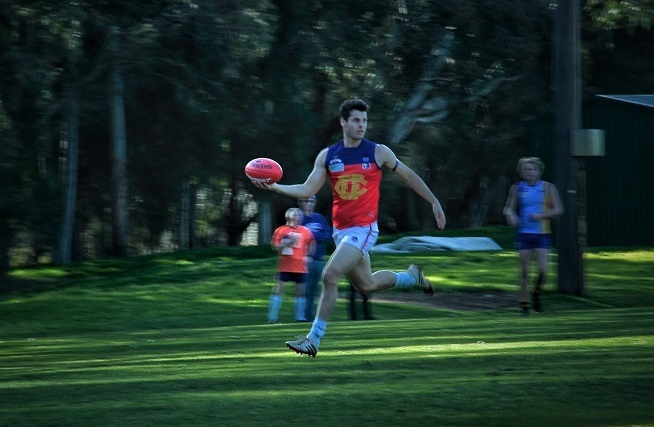 Check out this fabulous gallery of the Seniors and Reserves games at Keysborough. 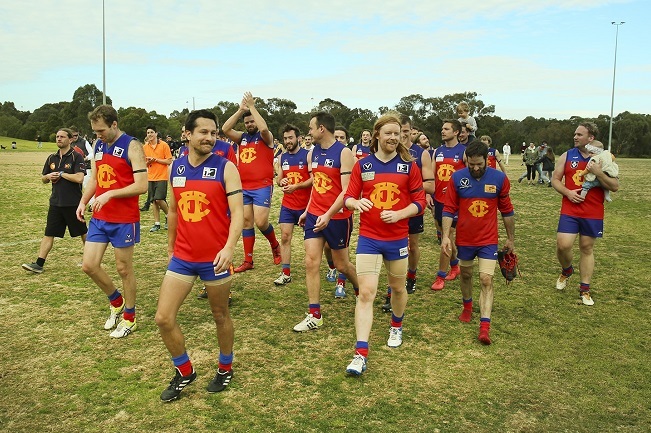 A 35-goal win to the Fitzroy Reserves still didn’t give coach Bernie Carter complete satisfaction. In fact their coach was somewhat disappointed with the scoreline that read 33.32.320, wondering what might have been if they’d straightened up the kicking for goal. For Old Mentone that probably doesn’t bare thinking about. To put the win in some context the home side struggled to field a full side and started with just one on the bench. It was a long four quarters. 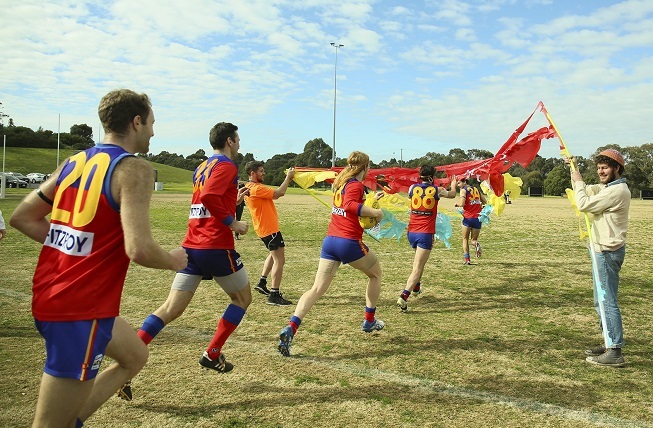 Fitzroy’s twos started out of the blocks with a seven goal first quarter and as it turned out that was the lowest scoring quarter. Enjoying his late recall to the Reserves, Dylan Patcas was best on ground and kicked five goals, while Liam Sugrue kicked six. Michael Cussen on his way back from injury also slotted three. Chris Brown and Bernie Wright performed strongly in a dominant performance. 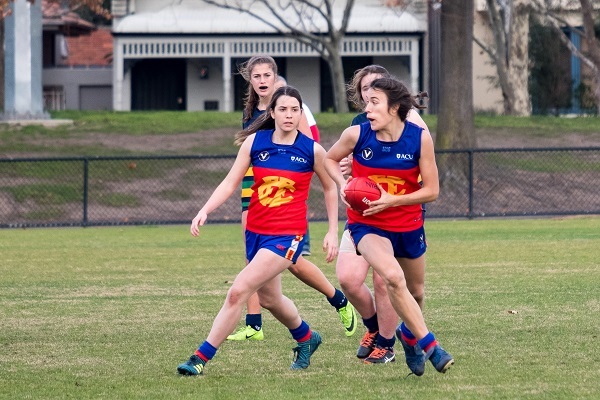 With a rare opportunity to play in the main game on Brunswick Street this Saturday, the Fitzroy Under 19 side will be looking for an improved performance as it plays host to University Blacks. 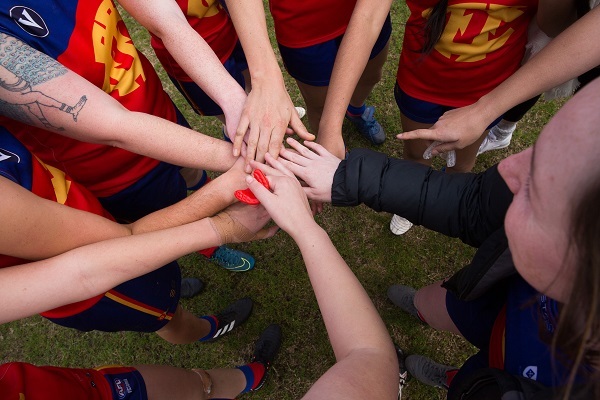 Last week’s 95-point loss to Uni Blues will be one the team will want to put behind them quickly and see if they can build some cohesion and positivity in the final three rounds of the season. They sit just above the Blacks on the ladder. One of the positives to come from the season so far has been the form of John Jorgensen, who kicked three goals of the team’s four last weekend and is third in the competition goal kicking; a fantastic performance in a side which will not make finals this year. Noah Wright was best on ground last week and will no doubt come back into contention for a senior call up if his strong form continues. Bontempo Pizzeria on Brunswick Street has come on board to award our best players in the upcoming VAFA finals series. 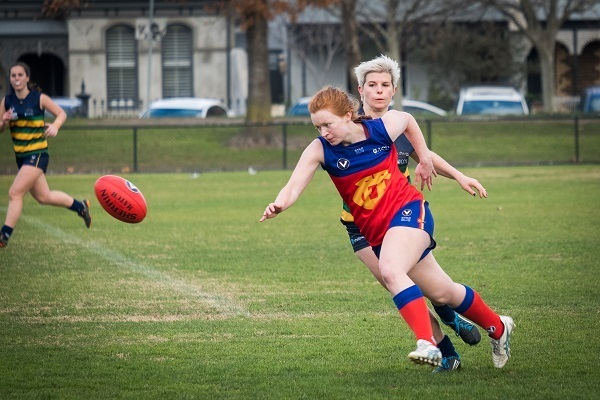 With four sides in the finals, Bontempo will provide the best on ground award for all four teams, starting this weekend with the best player for the Fitzroy-ACU Reserves Women. 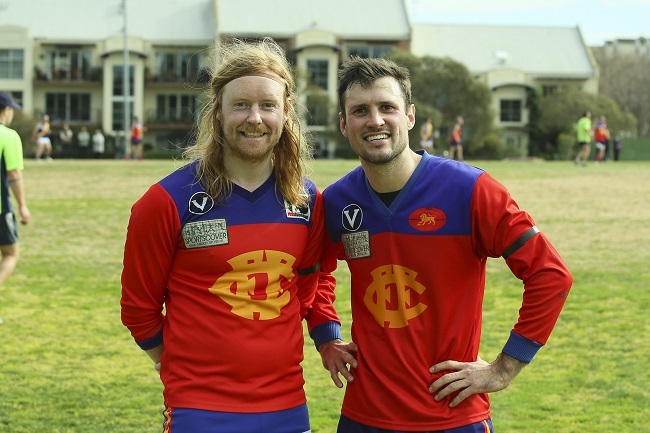 Bontempo has been supporting the Fitzroy Junior Football Club best players for a while now and we are thrilled to have them on board with the Senior club too. Thank you to Joe and all the crew. You can support them in turn by popping in and checking out their great menu at 416 Brunswick Street. They are open 7 nights from 5pm.